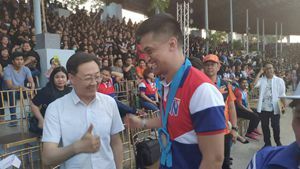 <?xml:namespace prefix = o ns = "urn:schemas-microsoft-com:office:office" />On March 6, 2019, Chinese Consul and Head of Post to Laoag Zhou Youbin attended the Opening Ceremony of Region 1 Athletic Association Meet with the theme 'One Goal, One North'. 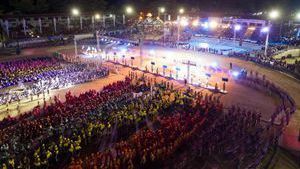 Athletes from Ilocos Norte, Ilocos Sur, La Union, Pangasinan gathered in Laoag City. Consul Zhou extended his best wishes to all the athletes participating in the Meet.